The objective of ABR’s interventions in urban planning is to structure the human activity in the territories in order to achieve a sustainable development and land use planning. The approach of ABR is holistic and analytic. Before creating its vision on the development ABR strives to require exact knowledge of the environment and its traditions. 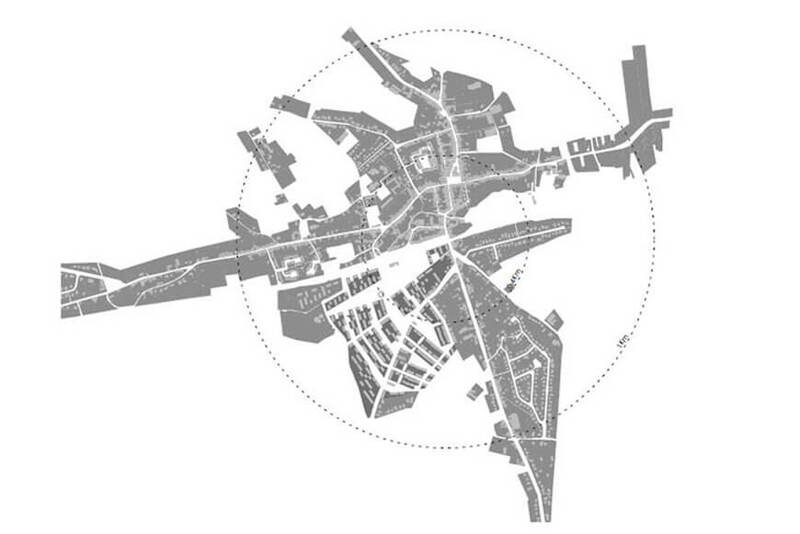 The urban planning work consists in the planning of the public and private spaces, the organization of the built and unbuilt, the economic activities, the distribution of the equipment, in summary in the morphology of the territory and the organization of the networks of which it is composed. The role of ABR is to anticipate the needs of the population in order to propose attractive and sustainable living conditions, that respond to the various social and viability problems. The urban reflexions of ABR incorporate the « Smart City » concept or urban intelligence. The intelligent city and territory are above all a place of interactions between users, who are both consumers of the information put at their disposal to guide them through their daily life (displacements, energy consumption, access to public services…) and producers of information over the social networks and mobile services (sharing opinions, contacts for individual services, enrichment of the shared knowledge bases…). The “Smart City” needs a dynamic process of concertation, associating all the public actors (local authorities, inter-municipal associations, regions, development agencies…) and private (telecom, energy, transports, integrators, IT services providers…), of which will emerge new forms of cooperation and new economic sources. (p.ex. Henricot factory at Court-Saint-Etienne, Sugar refinery at Genappe…). ABR establishes the master plans, the development layouts, the R.U.E. (Rapport Urbanistique and Environmental) the P.C.A. (Plans communaux d’aménagement) and the urbanization permit. ABR ensures the creation and implementation of public spaces like streets, places, quays, paths, and landscaping activities. ABR is an urban consultant for several cities and communes.